This article is about the year 1969. For other uses, see 1969 (disambiguation). Wikimedia Commons has media related to 1969. 1969 (MCMLXIX) was a common year starting on Wednesday of the Gregorian calendar, the 1969th year of the Common Era (CE) and Anno Domini (AD) designations, the 969th year of the 2nd millennium, the 69th year of the 20th century, and the 10th and last year of the 1960s decade. The year is associated with the first manned landing on the Moon (Apollo 11), the creation of the internet, and the commencement of the Gay Rights Movement. In Toulouse, France the first Concorde test flight is conducted. Apollo program: NASA launches Apollo 9 (James McDivitt, David Scott, Rusty Schweickart) to test the lunar module. In a Los Angeles court, Sirhan Sirhan admits that he killed presidential candidate Robert F. Kennedy. The United States Navy establishes the Navy Fighter Weapons School (also known as Top Gun) at Naval Air Station Miramar. March 4 – Arrest warrants are issued by a Florida court for Jim Morrison on charges of indecent exposure during a Doors concert three days earlier. In Memphis, Tennessee, James Earl Ray pleads guilty to assassinating Martin Luther King Jr. (he later retracts his guilty plea). The novel The Godfather by Mario Puzo is first distributed to booksellers by the publisher G. P. Putnam's Sons. March 13 – Apollo program: Apollo 9 returns safely to Earth after testing the Lunar Module. March 16 – Viasa Flight 742 crashes into a neighborhood in Maracaibo, Venezuela, shortly after taking off for Miami; all 84 people on board the DC-9 jet are killed along with 71 people on the ground. The Longhope life-boat is lost after answering a mayday call during severe storms in the Pentland Firth between Orkney and the northern tip of Scotland; the entire crew of 8 die. March 18 – Operation Breakfast, the covert bombing of Cambodia by U.S. planes, begins. An annular solar eclipse was visible in Indian and Pacific Oceans, and was the 49th solar eclipse of Solar Saros 129. British paratroopers and Marines land on the island of Anguilla, ending its unrecognized independence. A 385 metres (1,263 ft) tall TV mast at Emley Moor, England, collapses due to ice build-up. One hundred of the 105 passengers and crew on a United Arab Airlines flight, most of them Muslim pilgrims returning to Aswan from Mecca, are killed when the Ilyushin-18 turboprop crashes during a sandstorm. John Lennon and Yoko Ono are married at Gibraltar, and proceed to their honeymoon "Bed-In" for peace in Amsterdam. UCLA wins its third consecutive NCAA basketball championship by defeating Purdue University, 92 to 72. The landmark art exhibition When Attitudes become Form, curated by Harald Szeemann, opens at the Kunsthalle Bern in Bern, Switzerland. March 28 – Pope Paul VI increases the number of Roman Catholic cardinals by one-third, from 101 to 134. March 29 – The Eurovision Song Contest 1969 is held in Madrid, and results in four co-winners, with 18 votes each, from Spain, the United Kingdom, the Netherlands, and France. March 30 – The body of former United States General and President Dwight D. Eisenhower is brought by caisson to the United States Capitol to lie in state in the Capitol Rotunda; Eisenhower had died two days earlier, after a long illness, in the Walter Reed Army Medical Center, Washington, D.C.
April 1 – The Hawker Siddeley Harrier enters service with the Royal Air Force. April 4 – Dr. Denton Cooley implants the first temporary artificial heart. April 8 – The Montreal Expos debut as Major League Baseball's first team outside the United States. The Harvard University Administration Building is seized by close to 300 students, mostly members of the Students for a Democratic Society. Before the takeover ends, 45 will be injured and 184 arrested. Fermín Monasterio Pérez is murdered by the ETA in Biscay, Spain; the 4th victim in the name of Basque nationalism. April 13 – Queensland: The Brisbane Tramways end service after 84 years of operation. April 15 – The EC-121 shootdown incident: North Korea shoots down the aircraft over the Sea of Japan, killing all 31 on board. British troops arrive in Northern Ireland to reinforce the Royal Ulster Constabulary. A grassroots movement of Berkeley community members seizes an empty lot owned by the University of California, to begin the formation of "People's Park". April 22 – Robin Knox-Johnston becomes the first person to sail around the world solo without stopping. April 24 – Recently formed British Leyland launches their first new model, the Austin Maxi in Portugal. April 28 – Charles de Gaulle steps down as president of France after suffering defeat in a referendum the day before. May 4 – In a repeat of the previous season's finals, the Montreal Canadiens defeat the St. Louis Blues four games to none to win the Stanley Cup. Zip to Zap, a gathering of more than 2,000 people students and young adults at the remote town of at Zap, North Dakota, ends with the dispersal and eviction of the revelers by the North Dakota National Guard. The Battle of Dong Ap Bia, also known as Hamburger Hill, begins during the Vietnam War. May 13 – May 13 Incident: Race riots occur in Kuala Lumpur, Malaysia. May 14 – Colonel Muammar Gaddafi visits Mecca, Saudi Arabia. May 15 – An American teenager known as 'Robert R.' dies in St. Louis, Missouri, of a baffling medical condition. In 1984 it will be identified as the earliest confirmed case of HIV/AIDS in North America. May 16 – Venera program: Venera 5, a Soviet spaceprobe, lands on Venus. May 17 – Venera program: Soviet probe Venera 6 begins to descend into Venus's atmosphere, sending back atmospheric data before being crushed by pressure. May 18 – Apollo program: Apollo 10 (Tom Stafford, Gene Cernan, John Young) is launched as a full rehearsal for the Moon landing, but stops 15 kilometers short of actually reaching the lunar surface. May 20 – United States National Guard helicopters spray skin-stinging powder on anti-war protesters in California. May 21 – Rosariazo: Civil unrest breaks out in Rosario, Argentina, following the death of a 15-year-old student. May 22 – Apollo program: Apollo 10's lunar module flies to within 15,400 m of the Moon's surface. May 25 – Midnight Cowboy, an X-rated, Oscar-winning John Schlesinger film, is released. The Andean Pact (Andean Group) is established. Apollo program: Apollo 10 returns to Earth, after a successful 8-day test of all the components needed for the upcoming first manned Moon landing. May 26–June 2 – John Lennon and Yoko Ono conduct their second Bed-In. The follow-up to the Amsterdam event is held at the Queen Elizabeth Hotel in Montreal, Quebec. Lennon composes and records the song Give Peace a Chance during the Bed-In. May 29 – Cordobazo: A general strike and civil unrest break out in Córdoba, Argentina. May 30 – Riots in Curaçao mark the start of an Afro-Caribbean civil rights movement on the island. June 3 – While operating at sea on SEATO maneuvers, the Australian aircraft carrier HMAS Melbourne accidentally rams and slices into the American destroyer USS Frank E. Evans in the South China Sea, killing 74 American seamen. June 5 – An international communist conference begins in Moscow. June 7 – The rock group Blind Faith plays its first gig in front of 100,000 people in London's Hyde Park. June 8 – Francisco Franco orders the closing of the Gibraltar–Spain border and communications between Gibraltar and Spain in response to the 1967 Gibraltar sovereignty referendum. The border remains closed until a partial reopening on December 15, 1982. June 8 – U.S. President Richard Nixon and South Vietnamese President Nguyễn Văn Thiệu meet at Midway Island. Nixon announces that 25,000 U.S. troops will be withdrawn by September. June 15 – Georges Pompidou is elected President of France. June 17 – After a 23-game match, Boris Spassky defeats Tigran Petrosian to become the World Chess Champion in Moscow. June 18–22 – The National Convention of the Students for a Democratic Society, held in Chicago, collapses and the Weatherman faction seizes control of the SDS National Office. Thereafter, any activity run from the National Office or bearing the name of SDS is Weatherman-controlled. The Cuyahoga River fire helps spur an avalanche of water pollution control activities resulting in the Clean Water Act, Great Lakes Water Quality Agreement and the creation of the federal Environmental Protection Agency. Judy Garland dies of a drug overdose in her London home. June 23 – Warren E. Burger is sworn in as Chief Justice of the United States by retiring Chief Justice Earl Warren. June 24 – The United Kingdom and Rhodesia sever diplomatic ties, after Rhodesian constitutional referendum. June 28 – The Stonewall riots in New York City mark the start of the modern gay rights movement in the U.S.
July 1 – Charles, Prince of Wales, is invested with his title at Caernarfon. July 3 – Brian Jones, musician and founder of The Rolling Stones, drowns in his swimming pool at his home in Sussex, England. July 4 – Michael Mageau and Darlene Ferrin are shot at Blue Rock Springs in California. They are the second (known) victims of the Zodiac Killer. Mageau survives the attack while Ferrin is pronounced dead-on-arrival at Kaiser Foundation Hospital - Richmond. July 5 – Tom Mboya, Kenyan Minister of Development, is assassinated. July 7 – French is made equal to English throughout the Canadian national government. July 8 – Vietnam War: The very first U.S. troop withdrawals are made. July 10 – Donald Crowhurst's trimaran Teignmouth Electron sailing vessel is found drifting and unoccupied. It is presumed that Crowhurst might have committed suicide at sea. Football War: After Honduras loses a soccer game against El Salvador, rioting breaks out in Honduras against Salvadoran migrant workers. Of the 300,000 Salvadoran workers in Honduras, tens of thousands are expelled, prompting a brief Salvadoran invasion of Honduras. The OAS works out a cease-fire on July 18, which takes effect on July 20. The Act of Free Choice commences in Merauke, West Irian. The United States' $500, $1,000, $5,000 and $10,000 bills are officially withdrawn from circulation. July 16 – Apollo program: Apollo 11 (Neil Armstrong, Buzz Aldrin, Michael Collins) lifts off toward the first landing on the Moon. July 18 – Chappaquiddick incident – Edward M. Kennedy drives off a bridge on his way home from a party on Chappaquiddick Island, Massachusetts. Mary Jo Kopechne, a former campaign aide to his brother, dies in the early morning hours of July 19 in the submerged car. John Fairfax lands in Hollywood Beach, Florida near Miami and becomes the first person to row across an ocean solo, after 180 days spent at sea on board 25' ocean rowboat 'Britannia' (left Gran Canaria on January 20, 1969). July 20 – Apollo program: The lunar module Eagle | Apollo 11 lands on the lunar surface. An estimated 500 million people worldwide watch in awe as Neil Armstrong takes his historic first steps on the Moon at 10:56 pm ET (02:56 UTC July 21), the largest television audience for a live broadcast at that time. July 22 – Spanish dictator and head of state Francisco Franco appoints Prince Juan Carlos his successor. The Apollo 11 astronauts return from the first successful Moon landing, and are placed in biological isolation for several days, on the chance they may have brought back lunar germs. The airless lunar environment is later determined to preclude microscopic life. The Soviet Union returns British lecturer Gerald Brooke to the United Kingdom freed from a Soviet prison in exchange for their spies Peter and Helen Kroger (Morris and Lona Cohen). July 25 – Vietnam War: U.S. President Richard Nixon declares the Nixon Doctrine, stating that the United States now expects its Asian allies to take care of their own military defense. This starts the "Vietnamization" of the war. July 26 – The New York Chapter of the Young Lords is founded. July 30 – Vietnam War: U.S. President Richard Nixon makes an unscheduled visit to South Vietnam, meeting with President Nguyễn Văn Thiệu and U.S. military commanders. The old halfpenny ceases to be legal tender in the UK. Pope Paul VI arrives in Entebbe, Uganda for the first visit by a reigning Pope to Africa. August 4 – Vietnam War: At the apartment of French intermediary Jean Sainteny in Paris, U.S. representative Henry Kissinger and North Vietnamese representative Xuan Thuy begin secret peace negotiations. They eventually fail since both sides cannot agree to any terms. August 5 – Mariner program: Mariner 7 makes its closest fly-by of Mars (3,524 kilometers). The Beatles at 11:30 have photographer Iain Macmillan take their photo on a zebra crossing on Abbey Road. A fire breaks out in Bannerman's Castle in the Hudson River; most of the roof collapses and crashes down to the lower levels. Members of the Manson Family invade the home of actress Sharon Tate and her husband Roman Polanski in Los Angeles. The followers kill Tate (who was 8 months pregnant), and her friends: Folgers coffee heiress Abigail Folger, Wojciech Frykowski, and Hollywood hairstylist Jay Sebring. Also killed is Steven Parent, leaving from a visit to the Polanski's caretaker. More than 100 stab wounds are found on the victims, except for Parent, who had been shot almost as soon as the Manson Family entered the property. The Haunted Mansion attraction opens at Disneyland in Anaheim, California. Later versions open in Florida, Tokyo and Paris. August 10 – The Manson Family kills Leno and Rosemary LaBianca, wealthy Los Angeles businessman and his wife. August 12 – Violence erupts after the Apprentice Boys of Derry march in Derry, Northern Ireland, resulting in a three-day communal riot known as the Battle of the Bogside. August 13 – Serious border clashes occur between the Soviet Union and the People's Republic of China. August 14 – British troops are deployed in Northern Ireland following the 3 day Battle of the Bogside to restore law and order. August 15 – Captain D's is founded as "Mr. D's Seafood and Hamburgers" by Ray Danner with its first location opening in Donelson, Tennessee. August 15–18 – The Woodstock Festival is held near White Lake, New York, featuring some of the top rock musicians of the era. August 17 – Category 5 Hurricane Camille, the most powerful tropical cyclonic system at landfall in history, hits the Mississippi coast, killing 248 people and causing US$1.5 billion in damage (1969 dollars). August 18 – Long John Silver's restaurant chain opens its first store in Lexington, Kentucky. August 20 – Florissant Fossil Beds National Monument is established in Florissant, Colorado, U.S.
Donald and Doris Fisher open the first Gap store on Ocean Avenue in San Francisco. Australian Denis Michael Rohan sets the Al-Aqsa Mosque on fire. Strong violence on demonstration in Prague and Brno, Czechoslovakia. Military force contra citizens. Prague spring finally beaten. August 29 – A Trans World Airlines flight from Rome to Tel Aviv is hijacked and diverted to Syria. September 1 – 1969 Libyan coup d'état: A bloodless coup in Libya ousts King Idris and brings Colonel Muammar Gaddafi to power. Ho Chi Minh, the president of the North Vietnam, dies at the age of 79. September 5 – Lieutenant William Calley is charged with six counts of premeditated murder for the 1968 My Lai Massacre deaths of 109 Vietnamese civilians in My Lai, Vietnam. September 9 – Allegheny Airlines Flight 853, a DC-9 airliner, collides in flight with a small Piper PA-28 airplane, and crashes near Fairland, Indiana, killing all 83 persons in both aircraft. September 11 – An annular solar eclipse was visible in Pacific Ocean and South America, and was the 41st solar eclipse of Solar Saros 134. September 13 – Scooby-Doo airs its first episode on the CBS network in the United States. September 14 – Persons who were born during the years from 1944 to 1951, and who celebrate their birthdays on this day, mark the occasion without being aware that September 14 will be the first date selected in the new U.S. draft lottery on December 1. At a meeting between The Beatles (minus George Harrison) and business manager Allen Klein, John Lennon announces his intention to quit the group. The very last theatrical Warner Bros. cartoon is released: the Merrie Melodies short Injun Trouble. September 22 – San Francisco Giant Willie Mays becomes the first major league baseball player since Babe Ruth to hit 600 career home runs. September 22–25 – An Islamic conference in Rabat, Morocco, following the al-Aqsa Mosque fire (August 21), condemns the Israeli claim of ownership of Jerusalem. Butch Cassidy and the Sundance Kid (directed by George Roy Hill and starring Paul Newman and Robert Redford) opens to limited release in the United States. The Beatles release their Abbey Road album which is an enormous commercial success and, although receiving mixed reviews at this time, comes to be viewed by many as the group's best. September 28 – West German federal election, 1969: The Social Democrats, led by Vice Chancellor Willy Brandt, and the Free Democrats led by Walter Scheel, formed a coalition government with Brandt as Chancellor, after the Social Democrats severed their relationship with Chancellor Kurt Georg Kiesinger's Christian Democratic Union. In Sweden, Olof Palme is elected Leader of the Social Democratic Worker's Party, replacing Tage Erlander as Prime Minister on October 14. The Beijing Subway begins operation. October 2 – A 1.2 megaton thermonuclear device is tested at Amchitka Island, Alaska. This test is code-named Project Milrow, the 11th test of the Operation Mandrel 1969–1970 underground nuclear test series. This test is known as a "calibration shot" to test if the island is fit for larger underground nuclear detonations. Monty Python's Flying Circus first airs on BBC One. Sazae-san first airs on Fuji Television. October 9–12 – Days of Rage: In Chicago, the Illinois National Guard is called in to control demonstrations involving the radical Weathermen, in connection with the "Chicago Eight" Trial. October 11–16 – The New York Mets defeat the Baltimore Orioles four games to one in one of the greatest World Series upsets in baseball history. An unofficial strike amongst British mineworkers begins over the working hours of surface workers. DZKB-TV Channel 9, the Philippines TV station, owner by Roberto S. Benedicto, is launched. Vietnam War: Hundreds of thousands of people take part in Moratorium to End the War in Vietnam demonstrations across the United States. Willard S. Boyle and George Smith invent the CCD at Bell Laboratories (30 years later, this technology is widely used in digital cameras). Fourteen black athletes are kicked off the University of Wyoming football team for wearing black armbands into their coach's office. Willy Brandt becomes Chancellor of West Germany. General Siad Barre comes to power in Somalia in a coup, 6 days after the assassination of President Abdirashid Ali Shermarke. October 22 – Led Zeppelin release Led Zeppelin II to critical acclaim and commercial success. October 25 – Australian federal election, 1969: John Gorton's Liberal/Country Coalition Government is narrowly re-elected with a sharply reduced majority, defeating a resurgent Labor Party led by Gough Whitlam. Prime Minister Gorton survived a leadership challenge by his deputy William McMahon as well as David Fairbairn in the immediate aftermath of the election. October 29 – The first message is sent over ARPANET, the forerunner of the internet. The disappearance of Patricia Spencer and Pamela Hobley occurs. 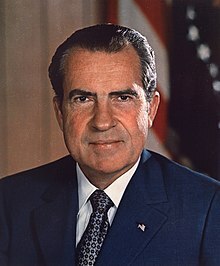 Vietnam War: U.S. President Richard Nixon addresses the nation on television and radio, asking the "silent majority" to join him in solidarity with the Vietnam War effort, and to support his policies. Süleyman Demirel of AP forms the new government of Turkey (31st government). November 7 – Pink Floyd release their Ummagumma album. November 9 – A group of American Indians, led by Richard Oakes, seizes Alcatraz Island as a symbolic gesture, offering to buy the property for $24 from the U.S. government. A longer occupation begins 11 days later. The act inspires a wave of renewed Indian pride and government reform. November 10 – Sesame Street airs its first episode on the NET network. November 12 – Vietnam War – My Lai Massacre: Independent investigative journalist Seymour Hersh breaks the My Lai story. 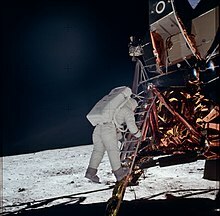 Apollo program: NASA launches Apollo 12 (Pete Conrad, Richard Gordon, Alan Bean), the second manned mission to the Moon. The SS United States, the last active United States Lines passenger ship, is withdrawn from service. Vietnam War: In Washington, D.C., 250,000–500,000 protesters stage a peaceful demonstration against the war, including a symbolic "March Against Death". Regular colour television broadcasts begin on BBC1 and ITV in the United Kingdom. Dave Thomas opens his first restaurant in a former steakhouse in downtown Columbus, Ohio. He names the chain Wendy's after his 8-year-old daughter, Melinda Lou (nicknamed "Wendy" by her siblings). November 17 – Cold War: Negotiators from the Soviet Union and the United States meet in Helsinki, to begin the SALT I negotiations aimed at limiting the number of strategic weapons on both sides. Apollo program: Apollo 12 astronauts Charles Conrad and Alan Bean land at Oceanus Procellarum ("Ocean of Storms"), becoming the third and fourth humans to walk on the Moon. Soccer great Pelé scores his 1,000th goal. Vietnam War: A Cleveland, Ohio newspaper, The Plain Dealer, publishes explicit photographs of dead villagers from the My Lai Massacre in Vietnam. Richard Oakes returns with 90 followers to Alcatraz Island and begins a 19 month long occupation, lasting until June 1971. U.S. President Richard Nixon and Japanese Premier Eisaku Satō agree in Washington, D.C. to the return of Okinawa to Japanese control in 1972. Under the terms of the agreement, the U.S. retains rights to military bases on the island, but they must be nuclear-free. The first ARPANET link is established (the progenitor of the global Internet). The United States Senate votes down the Supreme Court nomination of Clement Haynsworth, the first such rejection since 1930. November 22 – College Football: Michigan ends Ohio State's 22-game winning streak with a 24-12 upset at Ann Arbor, denying the Buckeyes their second consecutive national championship. November 24 – Apollo program: The Apollo 12 spacecraft splashes down safely in the Pacific Ocean, ending the second manned mission to the Moon. November 25 – John Lennon returns his MBE medal to protest the British government's involvement in the Nigerian Civil War. December 1 – Vietnam War: The first draft lottery in the United States since World War II is held. September 14 is the first of the 366 days of the year selected, meaning that those persons who were born on September 14 in the years from 1944 to 1951 would be the first to be summoned. On January 4, 1970, The New York Times will run a long article, "Statisticians Charge Draft Lottery Was Not Random". December 2 – The Boeing 747 jumbo jet makes its first passenger flight. It carries 191 people, most of them reporters and photographers, from Seattle to New York City. December 4 – Black Panther Party members Fred Hampton and Mark Clark are shot dead in their sleep during a raid by 14 Chicago police officers. December 5 – The Rolling Stones album Let It Bleed is released. College football: #1 ranked Texas rallies from 14-0 deficit with two fourth quarter touchdowns to edge #2 Arkansas 15-14 at Fayetteville in a game attended by President of the United States Richard Nixon and several high-ranking government dignitaries, including future President George H.W. Bush. The victory clinches the national championship of the coaches poll for the Longhorns; they would win the Associated Press national championship by defeating Notre Dame 21-17 in the Cotton Bowl on New Year's Day. December 7 – The animated Rankin Bass Christmas special Frosty the Snowman premiers on CBS. December 12 – The Piazza Fontana bombing in Milan, Italy kills 17 people and injures 88. December 14 – The murder of Diane Maxwell takes place. The 25-year-old phone operator is found sexually assaulted and killed (the case remains unsolved until 2003). Charles Manson is allowed to defend himself at the Tate-LaBianca murder trial. Nigerian troops capture Umuahia. The last Biafran capital before its dissolution becomes Owerri. December 27 – The Liberal Democratic Party wins 47.6% of the votes in the Japanese general election, 1969. Future prime ministers Yoshirō Mori and Tsutomu Hata and future kingmaker Ichirō Ozawa are elected for the first time. December 28 – The Young Lords take over the First Spanish Methodist Church in East Harlem. December 30 – The Linwood bank robbery leaves two police officers dead. Summer – Invention of Unix under the potential name "Unics" (after Multics). Fall – Second-generation Dodge Challenger automobile introduced in the United States. Common African, Malagasy and Mauritian Organization (OCAMM) (Organisation Commune Africaine Malgache et Mauricienne) is established. International Convention on Civil Liability for Oil Pollution Damage, a maritime treaty, is adopted. The first strain of the AIDS virus (HIV) migrates to the United States via Haiti. Women are allowed membership in the Future Farmers of America (the later National FFA Organization). Arthur Treacher's Fish and Chips is founded by S. Robert Davis and Dave Thomas and its first location in Columbus, Ohio opens for business. Anies Baswedan, Indonesian academic, activist, politician and current governor of Jakarta. Jonty Rhodes, South African cricketer. Russ Kick, American writer and founder of The Memory Hole. February 10 – Laura Třešňáková°, Czech actress (b. 1895) °-See Czech Wikipedia Page. ^ "Trio of Best-Sellers? ", Books Happening column by Gene Shalit, Los Angeles Times, February 23, 1969, "Calendar" section, p46 ("'The Godfather'... could be the sleeper of the season... Putnam is the publisher, March 10 is the publication date, and a second printing is already off the press." ^ "Manned Space Chronology: Apollo_11". spaceline.org. Archived from the original on February 14, 2008. Retrieved 2008-02-06. ^ "Apollo Anniversary: Moon Landing "Inspired World"". nationalgeographic.com. Archived from the original on February 9, 2008. Retrieved 2008-02-06. ^ "Pope Paul VI's Apostolic Pilgrimage to Uganda, 31 July–2 August 1969". Retrieved 2016-10-29. ^ "1969: British troops sent into Northern Ireland". BBC News. 14 August 1969. Retrieved 2008-01-10. ^ Dennis M. Ritchie, "The Evolution of the Unix Time-sharing System", Lucent Technologies, 1996 Archived April 8, 2015, at the Wayback Machine; accessed 27 June 2013. ^ "AIDS Virus Came to US Via Haiti". Voanews.com. Retrieved 2014-05-05. 1969: The Year Everything Changed by Rob Kirkpatrick. Skyhorse Publishing, 2009. ISBN 978-1-60239-366-0. 1969 – Headlines A report from Rich Lamb of WCBS Newsradio 880 (WCBS-AM New York) Part of WCBS 880's celebration of 40 years of newsradio. 1969 – The Year in Sound An Audiofile produced by Lou Zambrana of WCBS Newsradio 880 (WCBS-AM New York) Part of WCBS 880's celebration of 40 years of newsradio.